Orbex launcher lifting off from Sutherland Spaceport. Stage 2 of the rocket deploying a payload in orbit. Here's what the company describes as "innovative" carbon fiber fuel t anks. Orbex says it is developing a "radiation resistant" orbital flight computer. The United Kingdom has entered the race to develop low-cost, high-volume rockets for small satellites. Orbex, a British-based company with subsidiaries and production facilities in Denmark and Germany, announced Monday that it has raised $40 million from public and private sources to develop what it is calling the "Prime" launch vehicle. The company intends to launch Prime from a new spaceportâ"also just announcedâ"that will be located in northern Scotland. This facility would be the first commercial vertical launch site in the United Kingdom, and represents a significant investment in rocket infrastructure by the British government after decades of dormancy. Orbex announced its intentions publicly, for the first time, at the Farnborough International Airshow on Monday, and it disclosed a few technical details about its rocket. For example, the rocket will have a 1.3-meter-wide payload fairing, which is comparable to Rocket Lab's Electron vehicle, which has a 1.2-meter payload fairing. The rocket will be capable of delivering up to 150kg to a Sun-synchronous orbit at 500km. The company described Prime as "a low-mass and low-carbon launcher," which will use bio-propane as its fuel. Because of this, Orbex said Prime is a "green" rocket that cuts carbon emissions by 90 percent compared to commonly used hydrocarbon fuels. During launch, Orbex claimed the rocket will employ a "novel zero-shock staging system called Magic, which leaves zero orbital debris." We're not sure exactly what that means, or how it would work, but the goal of reducing orbital debris as more and more satellites are launched is a laudable one. The company also said the rocket features a "novel reusability concept, with an innovative new low mass recovery and reflight system." Again, it provided no details about how this might work, but it does seem significant that Orbex will attempt to recover its rocket when most small-satellite boosters are designed to be single-use items. Orbex said that it has received funding from the UK Space Agency, along with Sunstone Technology Ventures and the High-Tech GrÃ¼nderfonds (two of Europe's largest venture capital funds). The company also has received money from the European Space Agency, the European Commission Horizon 2020 program, and some additional private investors. According to a company official, Orbex is targeting 2021 for the maiden launch of the Prime vehicle. Also on Monday, the United Kingdom announced that it will provide funding to Lockheed Martin and Orbex to develop a Scotland-based spaceport. According to a government news release, the UK Space Agency will provide $30 million to Lockheed Martin to establish a vertical launch site at Sutherland, as well as to develop an orbital maneuvering vehicle to deploy satellites in orbit. The government will also provide $7 million to Orbex to assist in the development of its Prime rocket. Notional image of the UKÂ's first commercial spaceport at the Sutherland Site in Melness, Scotland. British officials said Monday they hope their plans for the Scottish spaceport will allow the United Kingdom to become the place Europeans seek to launch their small satellites from. The country also has invested in several spaceports for horizontal launch vehicles, such as Virgin Orbit's Launcher One, which has a 747 airplane as its first stage. 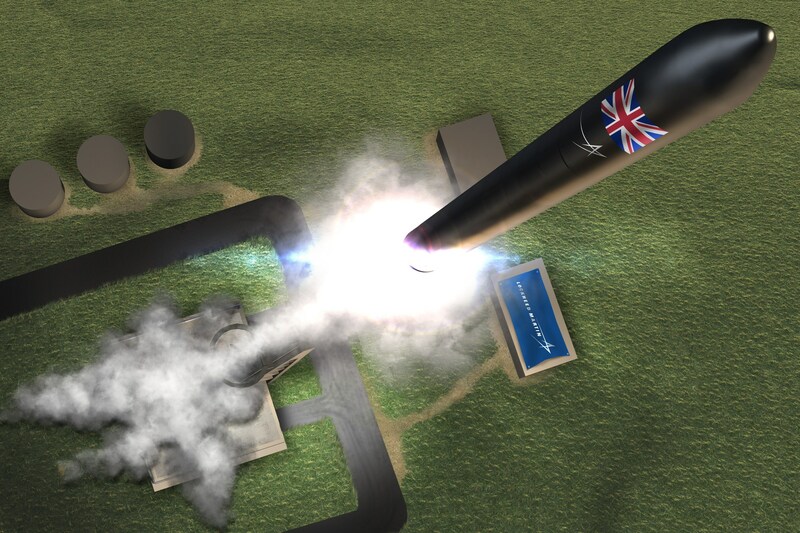 Orbex is targeting 2021 for its first flight, and the UK says it is seeking its first orbital launch from Scotland in the earl y 2020s. It seems probable that Orbex and the UK will have to meet these deadlines if it is to compete with emerging launch sites in New Zealand, Alaska, and elsewhere in the increasingly heated race to deliver small satellites into space.